The aftermath of any work-related accident can be painful and stressful, but the challenges are especially intense for maritime workers. Not only is this type of work more dangerous than most other professions—frequently resulting in catastrophic injuries—but the legal process for maritime workers to receive compensation is considerably more complex and difficult, as well. With the Jones Act and Longshore and Harbor Workers’ Compensation Act regulating workplace accident claims in the industry, it is essential that injured maritime workers discuss their case with our maritime injury lawyers who have experience handling these claims successfully. Our maritime injury lawyers can help you. At Hofmann & Schweitzer, we are extremely proud of the exceptional reputation we have earned in maritime injury litigation. With more than 35 years of experience representing clients in New York and all across the country, we have a remarkable track record of successful verdicts and settlements won for our clients in maritime injury claims. Even if you don’t see your specific title listed here, you may still be eligible to file a legal claim as a maritime worker. Our maritime injury lawyers can help you understand your rights and pursue the maximum amount of compensation for your injuries. Jones Act claims. The Jones Act covers those who live and work on water vessels. This can include ships, oil rigs and other vessels that are actually out at sea. Depending on the exact work you do, it could be complicated to determine whether you are considered a “seaman” under the legal definition and thus afforded protection under the Jones Act. Longshore and Harbor Workers’ Compensation Act claims. These claims involve those who work in the maritime industry but are not considered seamen working on a vessel at sea. In most cases, this can include those working on docks, repairing ships or doing related on-shore work with boats. Seek medical help for your injuries. Write down everything you remember about the circumstances of your accident and injury to keep your memory fresh. Call an experienced maritime injury lawyer. Sign papers without consulting with a maritime injury lawyer. Delay in seeing a doctor. 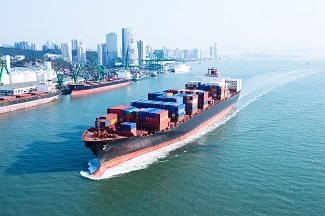 Agree to a settlement before talking with a maritime injury attorney. Let your employer pressure you to go back to work before you are ready. Wait too long to file a maritime accident claim. You have rights, including the right to work with our New York maritime lawyers. We have the experience and knowledge to protect your rights and make sure you get the full compensation for your injuries. Let us help you through the process. For information regarding your legal options after a maritime injury, you owe it to yourself to speak with the experienced maritime injury lawyers of Hofmann & Schweitzer. Our maritime injury lawyers are based in New York, but commonly represent clients across the country. Contact us online or call us directly at 800.362.9329 to schedule your free consultation today.